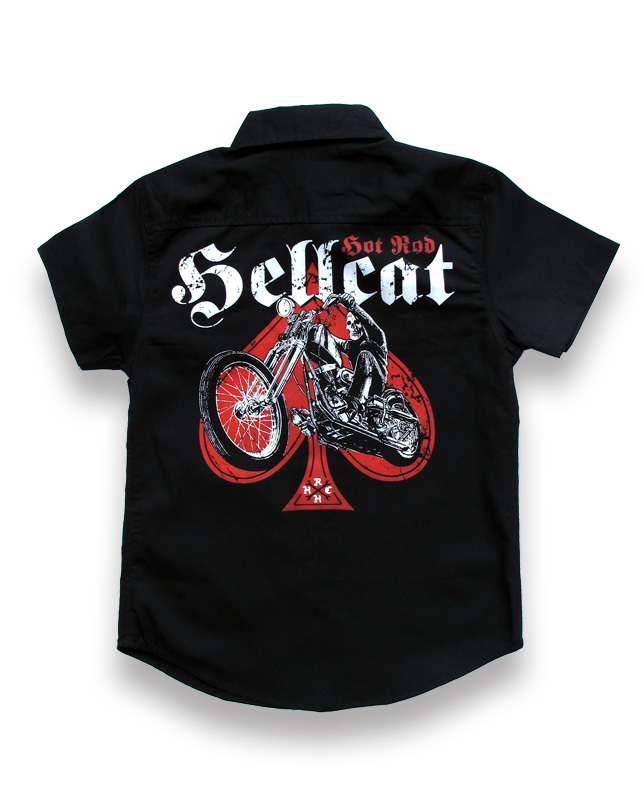 At Punkabilly vintage style means everything, no matter what your age! 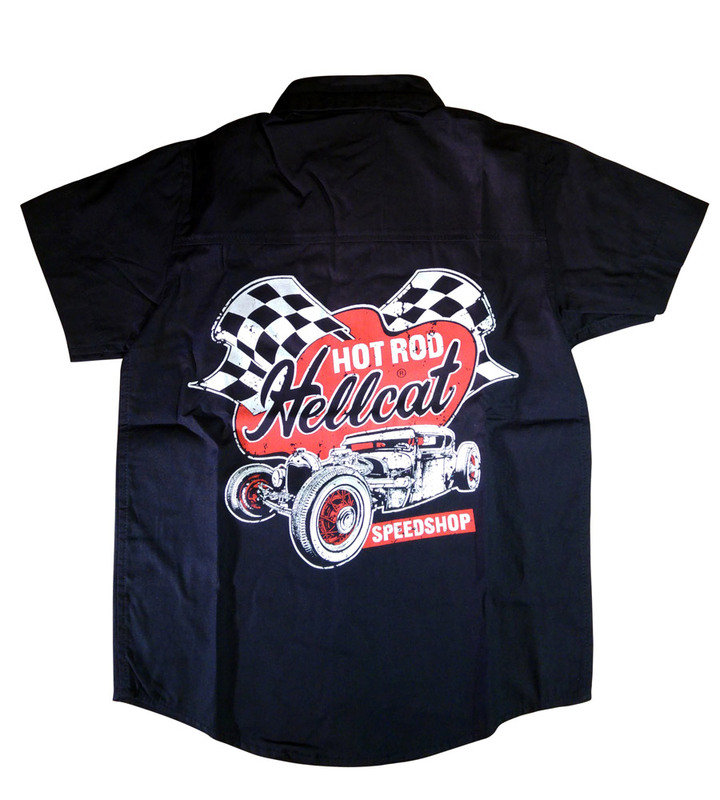 Welcome to our selection of little hot rod boys work shirts, perfectly fitted for your little one to bring out his inner rockabilly style. 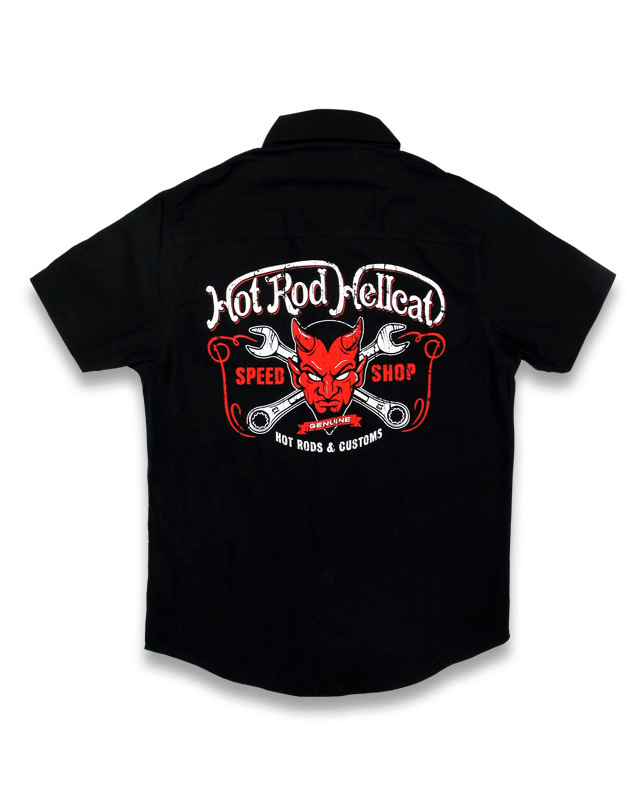 Imagine your little boy outside one summer afternoon helping his dad fix up the old Hot Rod, or Aston Martin DB5 in the driveway, avoiding dabs of oil on the pavement and passing the wrench along to dear old dad when he asks for it. This scene is straight out of the 1950s, and we couldn’t ask for anything manlier, or more adorable. So why not let him dress the part? 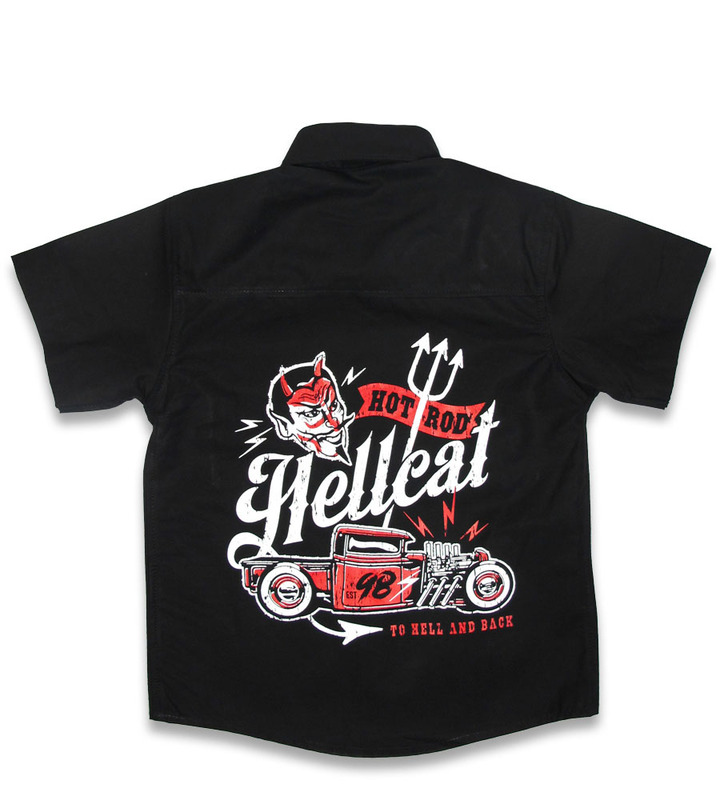 At Punkabilly Clothing, we know your little boy wants to be just like his dad, so we offer the rockabilly work shirts for him to fit the part. 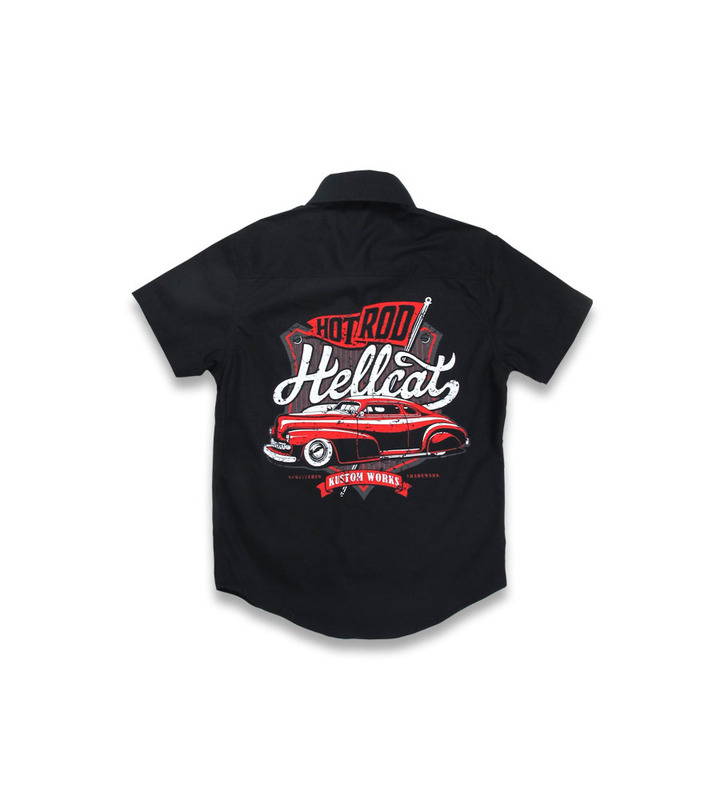 Whether he’s a fan of 1950s clothing, old style rock and roll, or just classic cars, we’ve got the perfect work shirt for your little one. 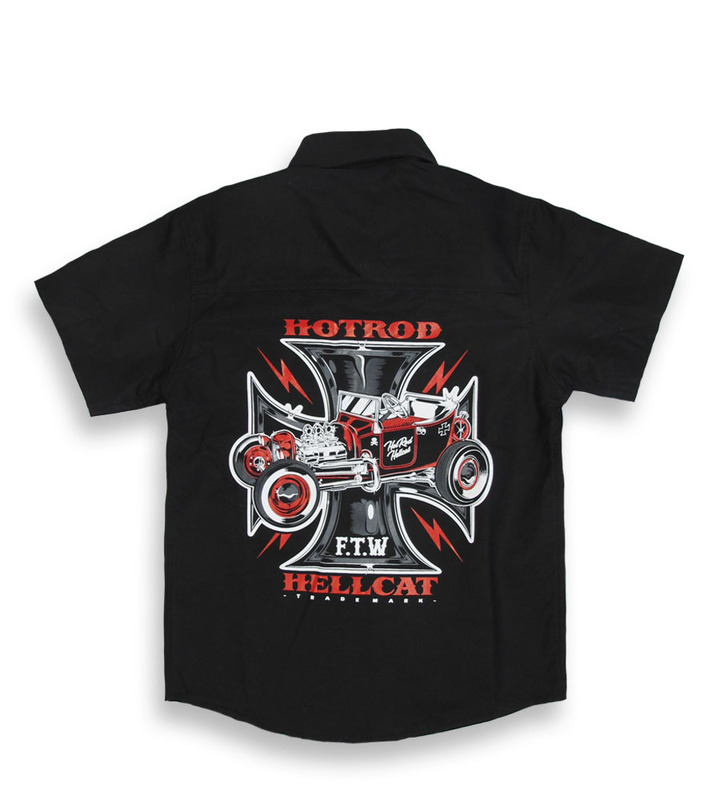 Have dad match your little one by shopping our men’s section of hot rod work shirts. 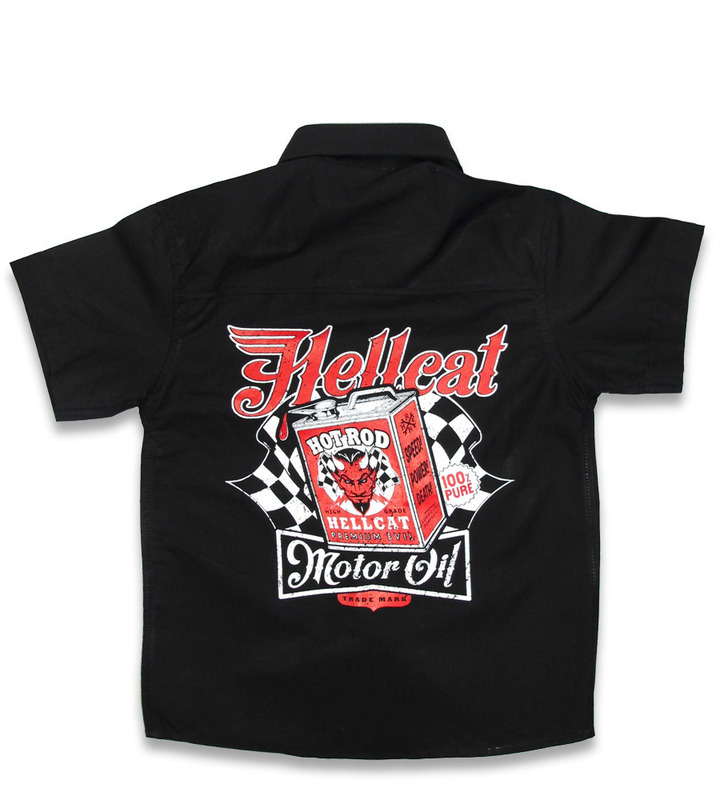 Our children’s clothing is 100% cotton, made out of only the best quality materials. 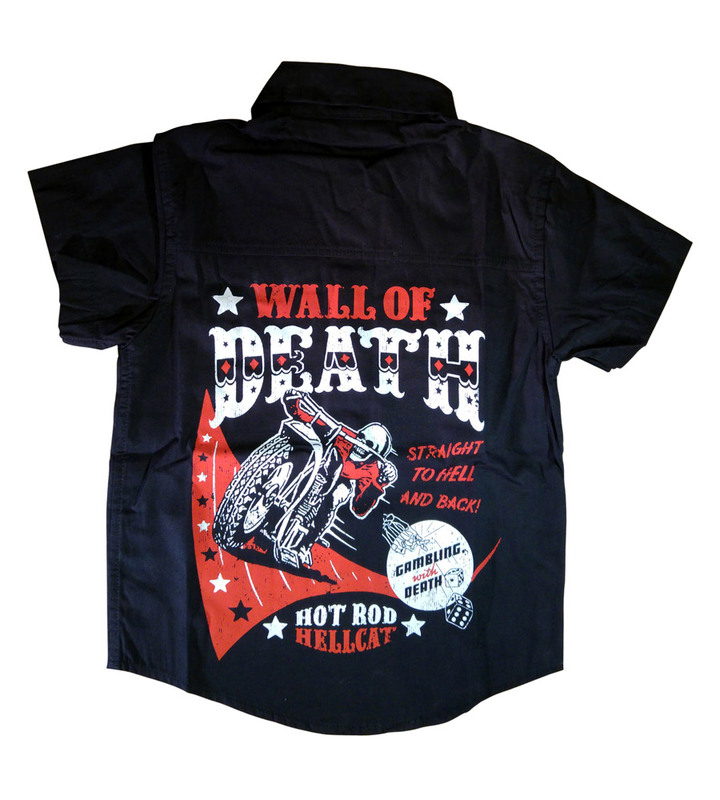 We oversee the making of our rock style clothing in house to ensure it’s the highest quality so you will feel safe and secure dressing your little one in our hot rod boys clothes. 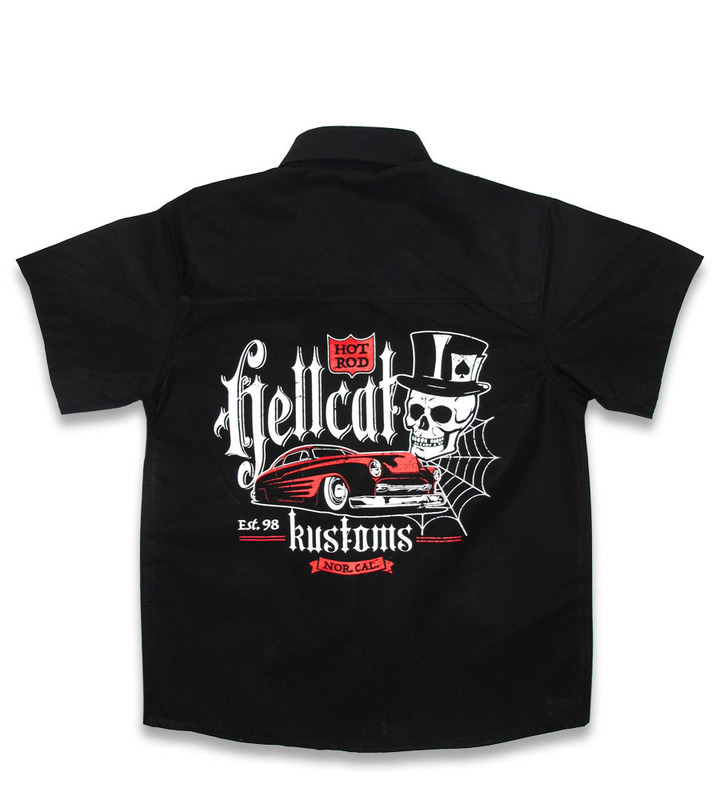 Ink used in our rock style clothing for kids is made with non-toxic ink so you can feel good about dressing your child in Punkabilly Clothing. 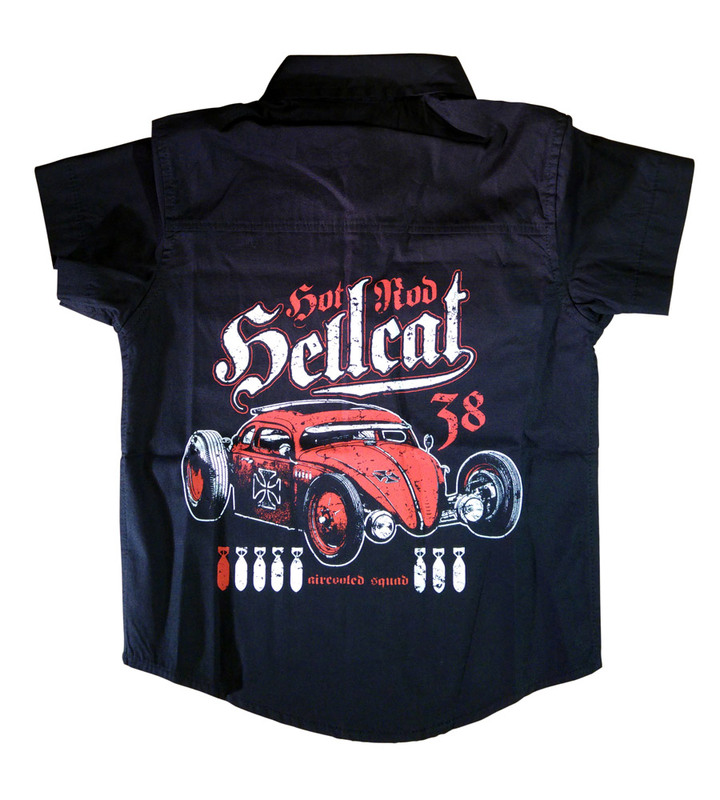 Your little one is sure to stand out as the coolest kid on the playground in our rockabilly work shirt, so be sure to check back regularly for updates stock and styles perfect for your vintage rock and roll boy. Have the latest styles and fashion ideas sent straight to your newsfeed by following Punkabilly Clothing on social media. See you there!